EOIN Murphy went very close to keep the Irish Intervarsities title in Dundalk at Rosapenna when he was pipped for the title by one shot by James McVicker of Ulster University. Playing for DKIT, Murphy jumped eight places in the final round after shooting a superb four under par 67 that included six birdies. He was holding the clubhouse lead when McVicker sank a 10 foot par putt on the last to pip him for the title which was won last year by his Dundalk team-mate Caolan Rafferty. After opening the competition with a two over par 73, Murphy shot 78 in the second round after opening dropping five shots over the first three holes and then another five shots over the first three holes of the back nine. In addition to his second place finish, Murphy was also tied first for most birdies (13) and the best Par Five average (4.33). 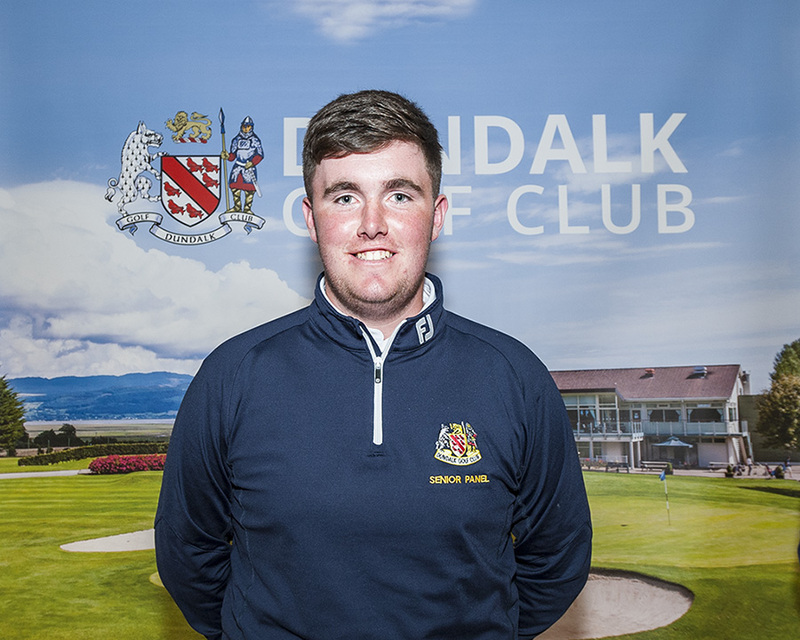 Josh Mackin was also in action In Rosapenna and the DKIT student shot rounds of 75, 75 and 78 to finish 11th while Sean Laverty missed the cut. The July Open Week proved to be a tremendous success with large entries, plenty of visitors and some great golf on a Dundalk course that is in pristine condition at the moment. A brilliant back nine propelled 22 handicapper Michael Browne to victory in Sunday’s Open Singles Stableford which he won comfortably on countback after four players tied on 39pts. Browne, who was one of the early starters, certainly didn’t look like a winner when he covered the opening ten holes in just 17pts, but he picked up three points at the 11th and again at 12th and, after securing two points at the 13th, he birdied the short par four 14th, which was playing into a strong wind, for four points to give himself a chance. Local knowledge was very much to the fore in Thursday’s Open Four Man Team Event which was sponsored by DKIT Sports and Leisure Centre. The winning team of Sean Ward (17), George Rogers (19), Damien English (11) and Ollie English (12) combined superbly to shoot an impressive 97pts which was seven points clear of the second placed team. Six handicapper Gareth Duffy produced once of the rounds of the season to win the Oriel Cup last Wednesday. He shot a two under par gross score of 70 for a nett total of 64 and a four shot winning margin from 21 handicapper Paul Durnin. Duffy’s round included seven birdies, seven pars, three bogeys and just one double bogey as he romped to a well deserved victory. Liam McGailey (10), Len Mullins (16) and Noel McMahon (23) took the category prizes while Ciaran Johnson (15) was the Juvenile winner. Monday of Open Week saw Ross Quigley (22) win the Open Singles Stableford which was sponsored by Cavan Crystal. He shot a well crafted 42pts to win by three points from this year’s Juvenile Captain Cian Lynch McCrave (12) who shot 39pts with Derek Murdock third on 36pts while a member of the club’s Barton Shield team Ricky Newell (1) took the gross prize. Sunday, July 10 – Open Singles Stableford- Overall: Michael Browne (22) 39/24pts. Category 1 (0-11): Phil Holland (11) 39/20pts, Ian Suffern (8) (Lisburn) 38/20pts. Category 2 (12-16): David Murden (12) 39/19pts, Brian Mernagh (12) 37/19pts. Category 3 (17-28): Sean Gallagher (25) 39/17pts, Kevin Redmond (20) 36/17pts. Juvenile: Liam Gordon (27) 39pts. CSS: 71. Thursday, July 7 – Open Four Man Team Event sponsored by DKIT Sports and Leisure Centre – 1st: S Ward (17), G Rogers (19), D English (11), O English (12) 97pts. 2nd: S Finnegan (11) , D Mulligan (5), A McDonnell (5), N Lambe (15) (All Greenore|) 92pts. Wednesday, July 6 – Oriel Cup – Overall: Gareth Duffy (6) 64, Paul Durnin (21) 68/30.5. Gross: Conor Curran (3) 71. Category 1 (0-12): Liam McGailey (10) 69, Christy Ward (9) 70. Category 2 (13-19): Len Mullins (16) 68. Mark Cairns (15) 71/32.5. Category 3 (20+): Noel McMahon (23) 71/34.5. Frank Barry (20) (Donabate) 71. Juvenile: Ciaran Johnson (15) 68. CSS Home: 71, CSS Away: 73. Monday, July 4 – Open Singles Stableford sponsored by Cavan Crystal – Overall: Ross Quigley (22) 42pts, Cian Lynch McCrave (12) 39pts, Derek Murdock (13) 36/19pts. Gross: Ricky Newell (1) 33pts. CSS: 34pts.